In this article, we're going to show you where to buy vegan wallets. 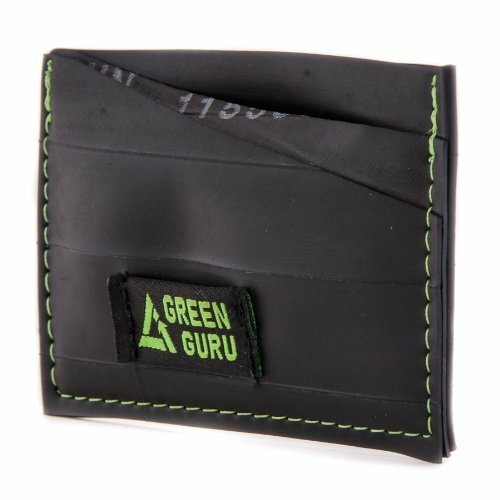 We'll also be linking to all of our guides where you can find all different vegan wallet types and styles. Vegan Wallets Made in the U.S.A.
Vegan wallets for can be made from a variety of materials, including synthetic leather, cotton canvas, hemp and nylon. As you'll see on our vegan wallets guides, there are even gorgeous vegan leather wallets sustainably made from leaves and cork bark. Snappier vegan wallets are typically faux leather, suitable for fancy dress or converting to business card holders, while materials like hemp and nylon are typically strong, tear-resistant and flexible for outdoor excursions. All-vegan designers like The Vegan Collection and Matt & Nat make some of the slickest vegan leather wallets in different styles and sizes. Amazon is always a good spot to check for these and any type of vegan wallet you might be searching for. For casual, active wallets, check out Hempy's all-natural hemp wallets and Dynomighty tyvek wallets on our lists. To make your vegan wallet shopping a little easier, we've also compiled a selection of our favorite vegan wallet brands. Take a look below. More often than not, women's wallets tend to be long with a trifold design (check out our description of trifold wallets below). You'll find them with plenty of card slots and pockets to stash the little extras. But women's wallets can come in any standard wallet design, whether they're bifold, slim-style or coin wallets. They tend to be more colorful than men's wallets, but that doesn't mean you can't find a neutral-hued women's wallet to match every color and pattern in your wardrobe. 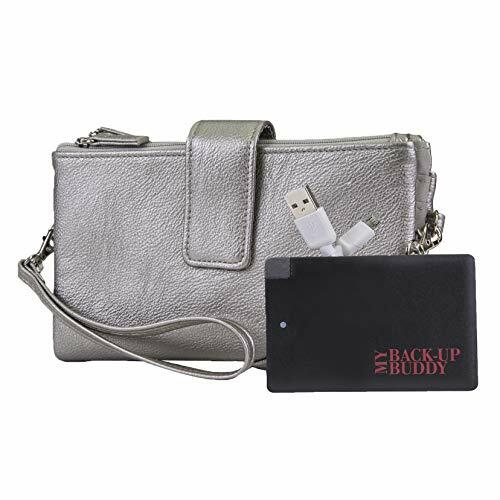 Vegan women's wallets are most often made with faux leather and are easy to find in a wide variety of spots, including Amazon, Zappos, Asos, Target and the upscale vegan shop Matt & Nat. Check out the cute prints and chic colors we selected on our women's vegan wallet guide. For the most part, you'll find men's wallets a bit simpler than women's wallets. They tend to be bifold or trifold wallets you can fit into your pocket with no more than six or eight card slots and a cash compartment. In terms of aesthetics, men's wallets tend to come in dark colors, especially black and brown. But there are certainly vibrant shades and fun prints to match any mood. We spotted vegan wallets for men made of the highest quality vegan leathers, sturdy hemp, cotton canvas and even heavy-duty Tyvek in a variety of styles and functions on Amazon, Zappos and Asos. Men's and women's tifold wallets are designed to expand into three sections when open and fold up neatly to slip into your pocket. They may feature Velcro, button or zipper fasteners to keep them securely shut. Trifold wallets afford their owners a little more carrying capacity than two-section bifold wallets. They may contain zippered coin pouches, multiple card slots and hidden slip pockets for stashing notes and receipts. Zappos, Amazon and Shoes.com offer vegan trifold wallets for any kind of function you need, including RFID-blocking wallets, lightweight minimalist wallets and roomy clutch wallets that will hold everything from checkbooks to cellphones. 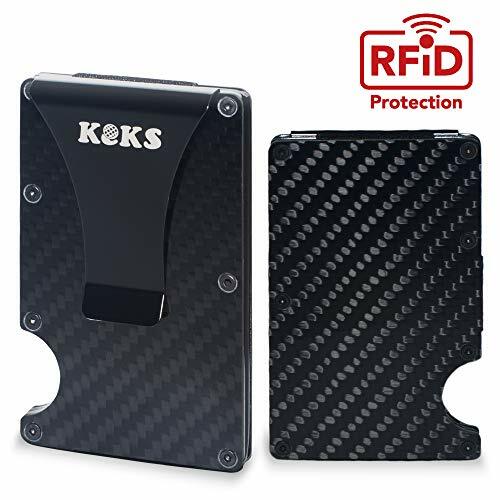 RFID (radio-frequency identification) wallets are said to be made with special technology that blocks scanners from reading and obtaining your card information. RFID technology is not uncommon in modern wallets, though ever-changing scanner technology will likely necessitate updated RFID-blocking designs. Some RFID wallets come with non-RFID sections for items like room cards and your driver license so that you can still wave your wallet on your way into your hotel room or through an office building security system. This is a convenient feature as it allows data scanners to have access only to the cards of your choice. We found that Amazon and Zappos are the best places to shop for vegan RFID wallets. Right now, Zappos is selling a variety from Pacsafe, an RFID security brand specializing in everything from travel wallets to minimalist bifold wallets. See all the stylish men's and women's vegan leather RFID wallets we've hand-picked for function and style. If you ever feel like your wallet is awkward and bulky, you might be interested in a slim vegan wallet. Simply put, it's a wallet that's thin enough to share space with your cellphone and all the essentials you carry with you on a daily basis. Available through Amazon, Paperwallet makes super cool slim wallets out of water-resistant, tear-proof Tyvek in unique artist-made designs. If you're looking for something really different, there's also Leaf Tribe slim wallets, simulating the look of leather with teak tree leaves (awesome, right?). Take a look at our top picks below. Generally speaking, clutch wallets are women's long wallets in either a bifold or trifold design. They look quite like clutch purses but are constructed like wallets inside, though it's not uncommon for them to come with wrist or even crossbody straps to wear like a purse. The great thing about clutch wallets is that they tend to carry more than the average wallet, very much like a small purse. Vegan clutch wallets are almost always made of faux leather. Express, Asos and Anthropologie have the trendiest of the trendy, from studded glam-rock wallets to funky print wallets, but Amazon and Zappos have just about anything you could possibly need for work, day and evening wear. 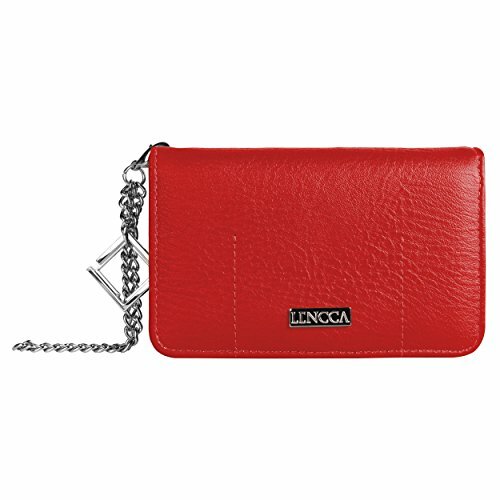 Wristlet wallets are like clutch wallets with wrist straps. They make convenient accessories when you don't want to carry a heavy bag on a night out, and they're often dressy enough to match any evening ensemble. As with clutch wallets, Amazon, Asos, Anthropologie and Zappos are fantastic sources for vegan wristlet wallets. Visit our guide to get a glimpse at trending styles in faux patent leather and shiny metallic colors. Vegan card wallets are pretty basic single-section, bifold or trifold wallets that may or may not have separate cash compartments. More often than not, they don't. The pros of a card wallet are lightweight traveling as well as quick access to cards, ID and tickets. We selected a variety of vegan card wallets for you to scope out from the minimalist end of the spectrum with a few card slots to complex card wallets with zip coin pouches and cash compartments from Matt & Nat, Amazon and Zappos. Also known as biker wallets, chain wallets are usually made of leather with a chain attachment to hook safely onto your belt loop while the wallet rests in your pocket. The good news is that we located cool hemp and faux leather chain wallets on Amazon as well as casual and dressy chains in gold and silver varieties from Asos to switch up your look. Amazon is the most reliable source of vegan chain wallets, though you can pop onto Urban Outfitters and Zappos to see what they have in stock from time to time. They're trendy, so they go fast. 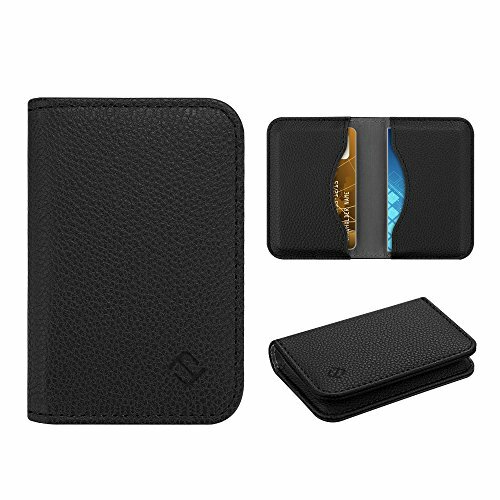 Trying to find an iPhone case that can hold cards and cash, too? That's exactly what an iPhone vegan leather wallet does (in faux leather). Some iPhone wallets are pretty stripped-down but convenient and unobtrusive—check out the stick-on card wallet we spotted at Target. Other iPhone wallets are more nuanced, designed to hold specific models of iPhones while providing anything from zip coin pockets to multiple credit card areas. Amazon is the best place for vegan iPhone wallets that serve different purposes, but Walmart can also be a good source. Designed by high-end, all-vegan brands or simply made without any animal-derived materials, vegan designer wallets come in all shapes, sizes and styles. 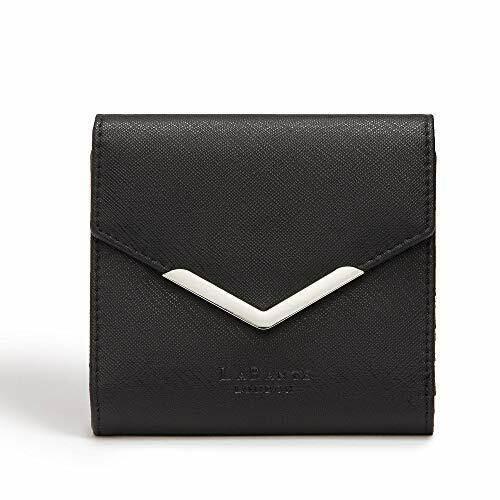 Amazon will likely be your one-stop shop for a host of designer brands, but Zappos has a luxury section that sometimes offers surprisingly vegan designer wallets. Matt & Nat, Doshi and Will's of London are just a few of the vegan designer brands making top-quality vegan leather wallets conveniently sold through Amazon, but we discovered plenty of other cruelty-free designer wallets for men and women you can scroll through on our vegan designer wallets list. A great many wallets do not come with coin pockets, so your change tends to jangle around in the bottom of your pocket or bag. Not only do vegan wallets with coin pockets stop that from happening, they also help out in international travel when you're changing to coin currency. Some coin pockets are sealed with zippers while others close with snap buttons, and some are small additions to the interior of a wallet with others are large outer pockets you can reach without having to open the wallet. If you travel on public transportation, a coin pocket on the outside might help you out for easy money and ticket storage, but sometimes a little pocket on the inside is all you need for parking meter quarters. Asos, Target, Amazon and Zappos are great online shops to explore with Amazon and Zappos providing the widest selection of brands. There has been an ever-increasing demand for items made in the U.S.A., and fortunately, Amazon is home to tons of faux leather, hemp, cotton canvas and nylon wallets crafted right in the U.S.A.
One thing to watch out for is a description of an item as having been "designed in the U.S.A." This could mean many things, but it does not necessarily mean that the item was created on U.S. soil. We suggest reading up on individual brands' policies, but in general, "designed in the U.S.A." is not at all the same as "made in the U.S.A."
Anyone shopping for a simple, no-frills wallet should look into a minimalist wallet. Vegan minimalist wallets might be any kind of synthetic or plant-based material wallet that's pared-down, offering only the bare necessities and usually having quite slim designs. Faux leather minimalist wallets are available at Express, Amazon and Asos while minimalist wallets for all ages and activities are most easily found on Amazon and Zappos. 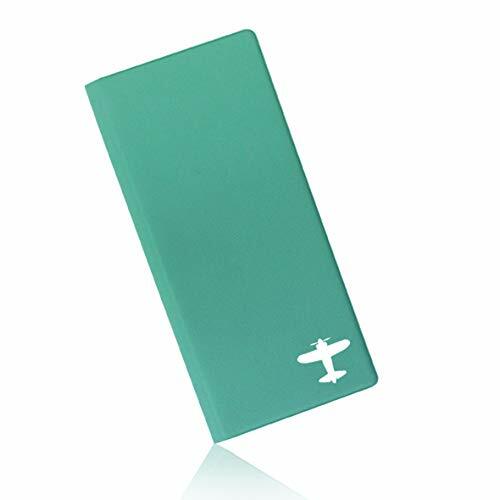 A passport wallet can be many things, including a passport cover with a few basic card slots and a full-on wallet with a special passport pocket. Which kind do you need? It really depends on how much you'll be carrying, how big the items are that you need access to (plane tickets often require larger wallet compartments), and even how many people you're hanging onto passports for. We like Asos, Amazon and Zappos best for the most functional yet fashionable vegan passport wallets. See what faux leather, fun prints and sophisticated styles they sell on our vegan passport wallets guide.